The Boss Stealth is back with avengance. With a fresh look for the season, the Stealth makes a return and is bolder and brasher than ever. 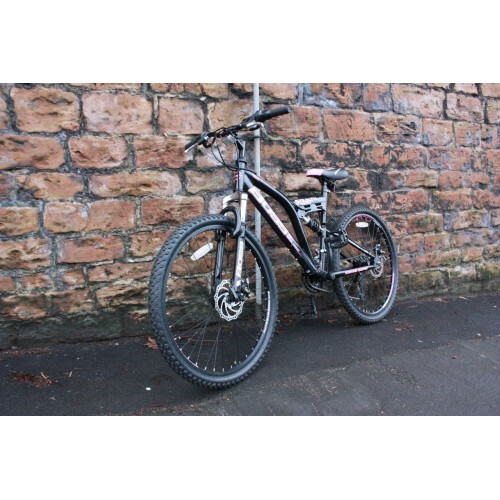 The spec speaks for itself – 21 speed Shimano gearing, Front and rear Zoom branded alloy disc brakes and dual mudguards give you the kit needed to tackle any terrain, whilst front and rear suspension make for a comfortable ride and soak up the bumps. 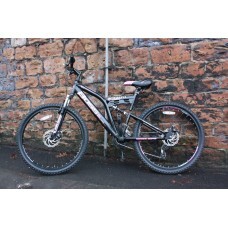 26 inch wheel dual suspension mountain bike, with Y-frame design for great performance and a comfortable ride. 21 Speed gearing with Shimano rear derailleur and rotational shifters to tackle any off-road terrain. Strong and lightweight deep-section alloy wheel rims in a hard-wearing black finish. 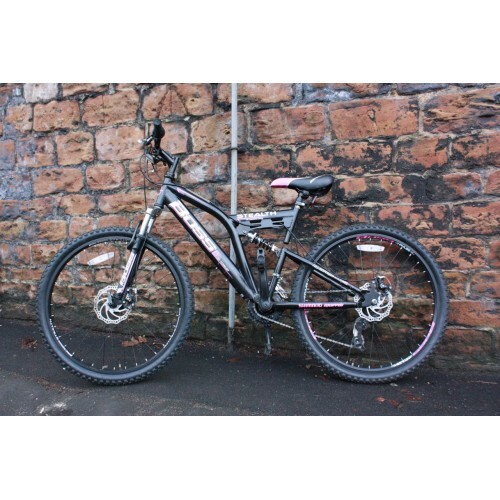 Off-road 1.95″ wide MTB tyres with deep tread for great traction on un-even ground. Front and rear mechanical disc-brakes for responsive braking – featuring 160mm wavy rotors for faster heat dispersion and better performance. Semi-raised handlebars and soft-compound handlebar grips for a re-assuring ride. Full-colour Falcon branded saddle with rail adjusters. Front and rear mudguards protect you from the elements wherever yourride takes you.